Mia Fuller, PhD Berkeley, is Associate Professor of Italian Studies. She is a cultural anthropologist and urban-architectural historian whose research concerns the interplays of physical space with political power. She has published extensively on architecture and city planning in the Italian colonies, winning the International Planning History Society book prize for Moderns Abroad: Architecture, Cities, and Italian Imperialism. She continues to write on Libya and the legacies of Italian colonialism there (for example: “Libyan Genocide 2.0: Today’s Conflict in Light of a Colonial Past.”) She has also written about how Eritrea capitalizes on the built environment Italians left behind, and the historiography of Italian architecture and the arts under fascism. Professor Fuller is currently completing work on a book on the force (or lack of force) of old fascist symbols that still exist in Italy, especially in the Pontine Marshes area, where Mussolini’s largest land-reclamation project took place in the 1930s, entailing the construction of five new towns and fourteen villages, and the settlement of over 3,000 families. This is a long-term project involving intermittent ethnographic fieldwork – started twenty years ago – as well as memory studies, the historical sociology of migration, oral history, and theories of monumentality. Her multi-disciplinary methods shape her teaching and graduate supervision as well. Her undergraduate courses are in Italian cultural history and anthropology, focusing, for instance, on Italy’s South through a detailed reading (in Italian) of Carlo Levi’s Cristo si è fermato a Eboli, or Mafia films (in English). With graduate students in Italian Studies and other fields, she works primarily on colonialism and postcolonialism, cultural anthropology and geography, Italian fascist and colonial history, Mediterranean Studies, Italy’s South, architectural history, and urban studies. Fuller, Mia. “Modelli urbani per i rurali: la paradossale identità civica dell’Agro Pontino” in Borghi rusali e borgate. La tradizione de disegno urbano in Italia negli anni Trenta, edited by Gabriele Corsani, and Heleni Porfyriou, 249-62. Rome: Palombi, 2017. Fuller, Mia. “Italy’s Colonial Futures: Colonial Inertia and Postcolonial Capital in Asmara.” California Italian Studies 2, no. 1 (2011). Fuller, Mia. 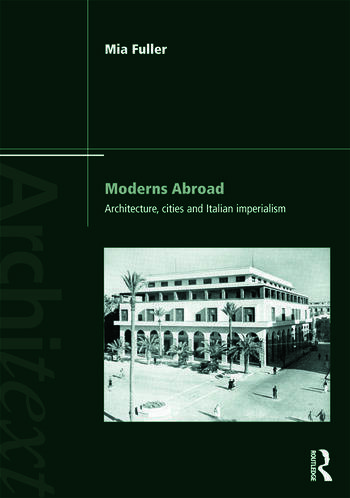 Moderns Abroad: Architecture, Cities and Italian Imperialism. New York: Routledge, 2007. Ben-Ghiat, Ruth, and Mia Fuller. Italian Colonialism. New York: Palgrave Macmillan, 2005. Fuller, Mia. “Wherever You Go, There You Are: Fascist Plans for the Colonial City of Addis Ababa and the Colonizing Suburb of EUR ’42.” Journal of Contemporary History 31, no. 2 (1996): 397-418.